Are You Going Through A Difficult Breakup? Do you feel hopeless, sad and anxious? Does it feel like your world was just turned upside down? Has it been difficult for you to stay focused at work, feel motivated to spend time with friends and family or go through your daily routine? Counseling can help. I can help. Going through a breakup can be extremely painful. Losing the person who you turned to, relied on and shared a life with can leave an aching hole in your heart. Whether the breakup was mutual or you were blind sighted when your partner left, it can be a devastating experience to go through. Many people going through a difficult breakup feel like the pain will never end. They start to doubt that they can/should/will ever love again. They fear that the sadness will linger, worry they will not find joy in life again and believe that they may be better off with their ex in an unhappy, unhealthy relationship than alone or with someone else. After a relationship break up, many people report that they feel embarrassed talking to friends after a certain amount of time. They worry that they are boring their friends or don’t want to appear to be weak or pathetic. The truth is that everyone gets through the pain of a breakup. It may not seem like a possibility while you’re in it, but you will get through it. You just need someone to go through it with you. Breakup counseling provides a safe space for you to talk about your pain, understand what went wrong in your relationship and find your strength again. As a relationship counselor, I have helped countless individuals get through the devastating pain of a break up as well as discover, repair and restore themselves again, ultimately finding happiness in a healthy relationship that meets their needs. Jennifer was a sweet, loving woman who entered breakup therapy in a very dark place. Her relationship with a man she thought she would marry had just ended and she felt sad, anxious, uncertain, and scared. Jennifer reported that she was not eating much, found it difficult to focus at work, wasn’t responding to her friends and family who were reaching out to her, and often didn’t want to get out of bed. 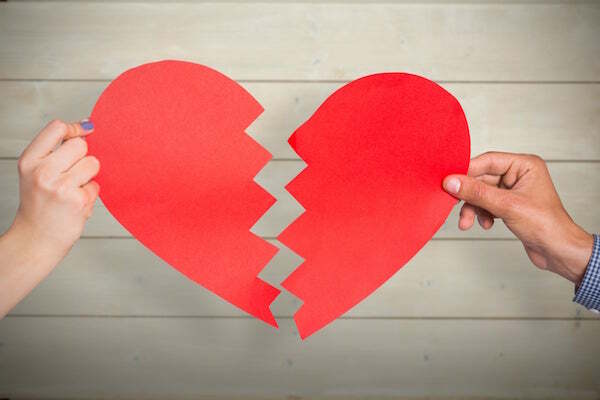 Prior to her breakup she had been full of life – engaged at work, very social and upbeat, the person all of her friends turned to for support, but this breakup had changed all of that. Jennifer felt like she had lost herself and found it difficult to recognize the woman she was. She worried that she would stay this way forever and feared she would never feel better. As we began working together, Jennifer began allowing herself to experience her grief. Prior to counseling, she had been afraid to truly feel the pain of the loss and had been holding on to the belief that she and her ex would get back together again. As she settled into the heartache, life began to change. Over time, Jennifer realized that she and her ex were not a good fit, she started to engage more with her friends and perform well at work again, and she began to clarify what she liked about the relationship and what made her unhappy. Soon Jennifer felt stronger and more confident without her ex, which allowed her to take the scary step of re-entering the dating world. With the support of our relationship counseling sessions, Jennifer started to understand what she was truly looking for in a partner and enjoyed the process of meeting new people. She learned how to successfully date, and eventually met and married a loving, caring, compassionate, present, and dedicated man who made her very happy. How is talking about my breakup going to help? When we lose a person we love, it can be devastating. We can be filled with a range of emotions that if left unprocessed or not understood, can lead us to make decisions that are not in our best interest – like jumping into another relationship. When we have the space we need to talk about our feelings and go through the five stages of grief, we move through the process in a healthy way, truly heal and are able to create a healthier, happier version of ourselves on the other end. It’s been awhile since we broke up and I’m still not over it, what does this mean? If you feel like you “should” be over your break up by now, there can be a few things happening. Sometimes grief takes longer to go through than we expect. We may feel the social pressure of being “over it” and believe that something is wrong with us for still feeling hurt. Other times, we are avoiding the pain and trying to just “be over it” without doing the work. If you do not allow yourself to go through the “muck,” you will not heal. With the help of an expert therapist, you can learn effective and innovative ways to get over a breakup and build the confidence within yourself to find and maintain an ideal relationship. I’m able to get through a breakup and start dating again, but fairly soon that next relationship ends. I feel like I’m just repeating the pattern. Why can’t I find the “right” person for me? Breakups can teach us a lot about ourselves and the partners we are choosing. If you continue to find yourself in the same place with respect to your relationships, it’s time to do something different. Learning more about who you are, what you need, and why you’re choosing the partners you choose will help change the pattern that leads to heartbreak. There truly is some science to picking a partner and sometimes we need professional relationship help to ensure we’re on the right path. I’m ready to start feeling better. How do I get started? Getting started is easy. You can EMAIL or CALL ME to schedule your first session. Taking this step can feel challenging, but having a space to put your feelings without worrying about saying the same things over and over again can be extremely healing. If the pain you’re feeling after a breakup is overwhelming, you’re tired of hurting, or you just want to feel better and date the “right” person, it’s time to get help. Counseling will help you begin to heal, feel better, and get YOU back!